Longtime readers will know that I am really not a fan of Facebook. I never really thought it did anything that other things (eg this blog, or email, or Flickr, or – gasp! – talking to people) didn’t do. However, I joined a few years ago to give it a try, and found it tolerable though a bit creepy. 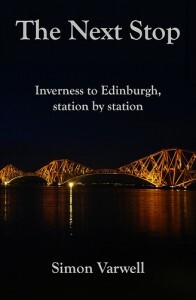 Eventually though I gave up on it and was quite happy being an exile. But increasingly, and against my prediction that it would be a passing fad, my absence from it has been felt keenly on a couple of occasions. Most recently and importantly, much of the emerging details about Kieran’s kidnap happened within Facebook so I only got information second-hand with some delay, which was frustrating when a friend was in danger. 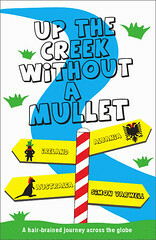 Also, with my book “Up The Creek Without a Mullet” approaching its first birthday and still going strong, I’ve been working with my publishers to explore ways of keeping the book’s profile high – and indeed raising it. One consequence of this is that I have realised that Facebook is a valuable tool for those with something to promote. So it is with a heavy heart – not to mention a full recognition of my own hypocrisy in changing my mind yet again – I have returned to Facebook. Those of you who arrived at this post via the front door will have noticed some wee icons on the bottom-right of the front page (which I found here). These are direct links to my Twitter, my Flickr and my brand new mullet adventures page on Facebook; not to mention the wopping big box on the right hand side of this post glaringly and shamefully directing you to it. You may also have noticed the “share” buttons at the bottom of each blog post too, allowing you to link easily via various social networking sites to anything I might have said in here that’s of interest (I know, hope springs eternal). 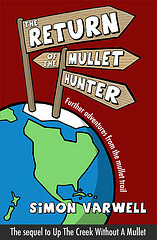 Further, you can even enter “Simon Varwell’s mullet adventures” as one of the Books that you like on your Facebook profile as well. If indeed you did like it. You might have hated it, but I don’t think there’s an option for that on Facebook. Yet. Anyway, there are already plenty folk who have – in the parlance of Facebook with which I am slowly reacquainting myself – “liked” my mullet adventures page, and you’re welcome to “like” it too and tell your friends all about it. I’ve really entered the world of social media now. And there’s no turning back.